Contact Us With Your Divorce and Benefits Law Questions. Property division is often the most contentious issue in any divorce. Part of the complexity involves dealing with less tangible assets—it’s not just about who gets the house and who gets the car. What about things like retirement benefits? Florida law provides an equitable distribution of marital assets and liabilities between husband and wife upon divorce. This equitable distribution also applies to retirement benefits. Often retirement accounts will be your most significant marital asset other than your marital home. Just like any other assets acquired during the marriage, retirement benefits, which have been accrued by either spouse during the marriage, will be perceived as marital property that will need to be divided in divorce. However, if a spouse has accrued retirement benefits prior to the marriage, which have not yet been received, those will not be regarded as marital assets. Similarly, those retirement benefits accrued by either spouse prior or after dissolution of the marriage will not be considered as marital assets to be divided upon divorce. Courts are sometimes strict on this point. For example, in a 2011 appellate case, (Brathwaite v. Brathwaite) the ruling held that courts in dissolution of marriage actions could not, as part of its equitable distribution of marital assets, award wife half of husband’s military retirement benefits a portion of such benefits accrued before the parties’ marriage. Only the portion that accrued during the marriage was a marital asset subject to equitable distribution. This means that any retirement benefits accrued prior to the marriage are considered as non-marital or separate property. 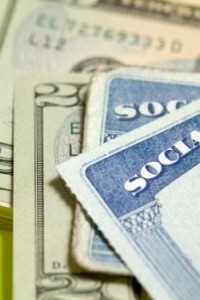 It is also essential that you know if your retirement account can be divided upon divorce. Retirement accounts that are generally divided between spouses in a divorce include IRA’s, Keoghs, ESOPSs, 401(k) plans and traditional pensions (including military and law enforcement pensions). Those retirement benefits that will not be divided as marital assets include social security benefits, disability compensation, and railroad retirement benefits. How will it be Divided? The present-day value is easy to determine when you are dealing with a 401(k) or IRA: all you need to do is look at your statement. However, things are harder in traditional pension. The way it works in a pension is that the beneficiary is guaranteed a particular payment at a specific time. Usually, most pensions are awarded every month at age 65. However if you are only 30, you still need to wait 35 more years of growth for you to receive it. Therefore, during the divorce procedure, if you would like to obtain your part of the pension before reaching age 65, you will need an actuary or accountant to calculate the present-day value of the pension. Once that is done, you can trade that amount for other assets of the same value. This kind of division can be done in IRAs, 401(k)s or pension plans. For instance, if you are dealing with an IRA, in order to divide the benefit, you need a copy a qualified domestic relations order (QDRO). If the court approves the division and part the funds are transferred into a new IRA account by the receiving spouse, the transfer if effectuated without tax or penalty. Retirement benefits are substantially different from other marital assets, mainly because of their purpose (retirement funding) and because of their legal consequences (early withdrawal penalties and taxes). That is why divorcing couples should be careful when considering the division of retirement benefits. For help with these and other divorce issues in our area, be sure to get in touch with an experienced Jacksonville divorce lawyer for guidance. Contact Us With Your Divorce and Benefits, Law Questions. Divorce Attorney, William Dorsey – What does no-fault divorce mean? Divorce Attorney, William Dorsey — Can I relocate to another area with my children? Supermarkets & Store Accidents – Can You Make an Injury Claim? It happens all the time: A customer enters a store, hits a slippery spot, and takes a tumble. Some falls are minor, but many others result in serious injuries that lead to significant medical bills, lost work, rehabilitation, and considerable pain and suffering. Those hurt in this and similar ways often wonder if they have a legal claim to seek compensation for their losses. 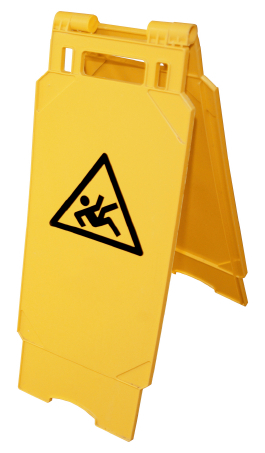 Most accidents in supermarkets, clothing stores, and other retail spaces are of the “slip and fall” variety. Potential legal accountability following these accidents is guided by an area of law known as “premise liability.” This refers to rules about what the owners and operators of a building are required to do to keep those on the property safe and secure. In general, owners must take “reasonable” steps to ensure the premises are safe for customers. When they fail to meet that duty, they can be held liable for the harm that results. • Wet floors: When floors are mopped, customers should be warned that the space is slippery and presents a hazard. “Caution Wet Floor” signs should be used. Similarly, if there is a spill on the floor, the business must quickly clean the location to prevent unsuspecting customers from getting hurt. • Insecure Shelving: Store shelves and items on the shelves should never fall onto a customer. Businesses must ensure shelves will not tip and that merchandise on the shelves does not tumble down. • Rough floors/walkways: Uneven sidewalks, potholes, large entrance drops, loose rugs, and other hazards on the premises might present unreasonable dangers to those coming to the business. It is important for these establishments to take reasonable steps to eliminate these fall and injury risks. Any time that you are hurt while on business property you may be able to recover for your losses. A legal professional can explain the various parties who could be held liable for the harm suffered, including the store owner, a property manager, parent companies, and sometimes vendors or contractors working within the establishment. In a potential legal case following the accident, it will be important to collect evidence that can help prove negligence on the part of the owner or operator. Evidence in these cases often includes pictures of the area where the accident took place or surveillance video footage of the actual fall. Statements from witnesses who saw the fall or the state of the store at the time of the incident are crucial. In addition, employee statements can be pivotal. For example, if a floor was wet, potential liability may hinge on whether or not an employee was near the area and saw it or had the chance to correct the problem. No two cases are identical. At the end of the day, if you are hurt in any way while at a store, be sure to get in touch with a legal professional as soon as possible to share your story. The injury lawyer can explain how the law might apply, collect necessary evidence, and work on your behalf to ensure a timely, fair resolution to the legal matter.